Eight local residents – Rowena Barnett, Margaret Cox, Jane Easton, Ian Lambert, Lisa Lambert, Penny Lanser, Ben Wong and Peter Miller – met on Long Reef in 1997 and formed Reefcare and then joined ‘Warringah Friends of the Bush”. They started with a small Catchment grant of $1,700 to produce an information brochure about Flora & Fauna habitats at Long Reef Headland and the Aquatic Reserve. Their first project was to remove noxious weeds from the Fisherman’s beach grassland. 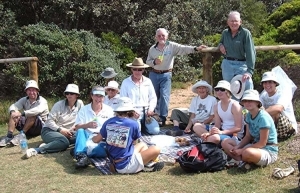 Today Reefcare group has a large group of community volunteers who meet each month to regenerate and conserve remnant areas of grasslands, sand dunes and marine migratory bird habitats on Long Reef’s Aquatic reserve. The group has raised grants totaling over two hundred thousand dollars for this conservation work. Grants received from NSW EPA, Coastcare, Natural Heritage Trust with full support from the Warringah Council. Reefcare believes in the conservation of bird species, their habitats and Biodiversity. The impact of human activities can result in the loss of natural resources, which impacts bird life – an indicator in analyzing Biodiversity priorities. 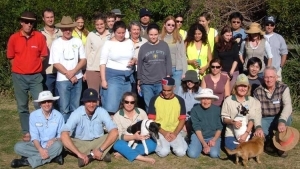 2000 Warringah Council’s Reefcare group, Grasslands restoration, Sydney winner National Parks & Wildlife Award. 2001 Warringah Council – Dee Why/Long Reef beach. Sydney winner Clean Beach award winner. 2001 Warringah Council Volunteers/Reefcare Group, Conservation Award winner. 2003 Warringah Council – Dee Why /Long Reef beach. Warringah Council volunteers including Reefcare, Conservation Award winner. 2004 Sydney Region and State Winner – Clean Beach Challenge. The Natural Heritage Trust Conservation Award, for the Greenlink Walk. Included were other community groups – Fishcare Volunteers Long Reef and Long Reef Surf Life Saving Club. 2006 Clean Beach award for Sydney – awarded to Warringah council, Reefcare Long Reef & Dee Why beach SLSC. Reefcare website Funded by Coastcare grants, a program of the Commonwealth Government’s Natural Heritage Trust, in partnership with the NSW Department of Land and Water Conservation, and Local Governments. Written by Peter Miller and edited by Lisa Calder of Reefcare. Photographic Credits Photos property of Reefcare with the following exceptions. Main Aerial photo of headland and rock shelf. About Us page – Rock shelf surf photo. Aquatic Reserve page – Rock shelf photo. Awards page – Narrabeen panorama photo. Contact page – Headland photo. Members’ page – Headland storm airbrush. Fisherman’s Beach page – Fishermen’s beach water colour. Links page – Long Reef panorama. Boardwalk and Beach page – Bottom photo of boardwalk and headland. Australian Kestrel page – Painting of Kestrels. Wallpaper page – Middle row, right hand photo. Flora page – Pig face, Westringia, Small Leucopogon and Griffith park No-Mow photos. Birdlife page – Photos of Pelicans and Kestrel. Wildlife Watch page – Kestrel photo. Wallpaper page – All photos except middle row, at right. Upcoming Events/Activities page – Sunrise photo. Birdlife page – Golden Plover photo. Wildlife Watch page – Small Ruddy Turnstones, Grey-tailed Tatlers and Whimbrel photos. Great Cormorant page – Great Cormorant photo. White Bellied Sea Eagle page – White Bellied Sea Eagle photo. Wildlife Watch page – Large Ruddy Turnstone and Sooty Oystercatcher photos. Reefcare is a registered Coastcare group.